As I mentioned previously, BA pledged to shareholders to improve the Club Europe service in Spring 2017. After my recent Club Europe experience , this will be very welcome. They will be improving the service, food and choice onboard from March. What we don’t know yet is the exact start date. Luckily, I have a couple of upcoming Club Europe flights this month so I should be able to review the new service on one of them. The improved Club Europe will have a new service style, new crockery and meals that better suit the time of day. I am hoping that brunch will be gone, as I feel this is definitely the worst meal in Club Europe. They will also be aligning the service style with Club World. Again, what we don’t know is what that actually means. Hopefully it means that you will get a pre-departure drink as you do on Domestics in the US. It could also mean a starter as well as main and dessert if we are lucky. I am also hoping for an improved wine offering as currently the mini bottles of wine are pretty poor. It is good to see BA listening to their customers. 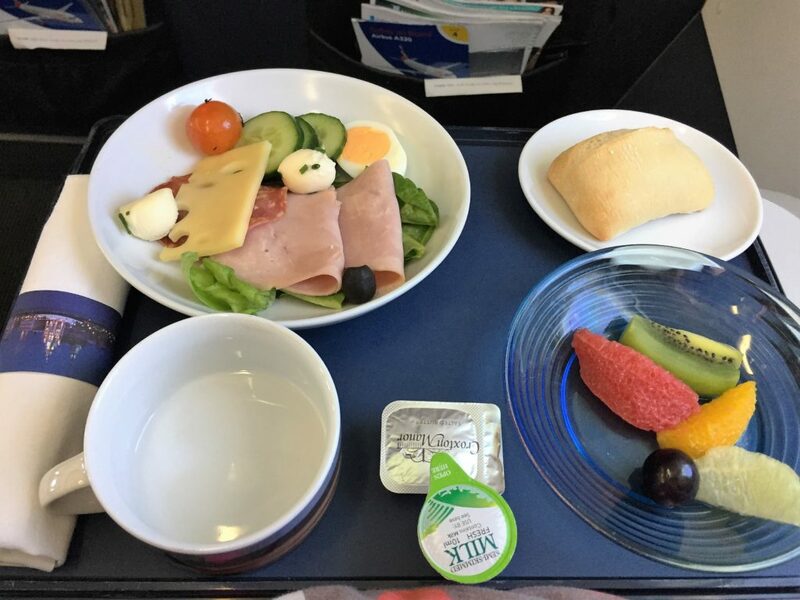 With the reduced leg room and meagre food offerings there was becoming less and less reason to pay for Club Europe. This will be introduced from the 1st April 2017. 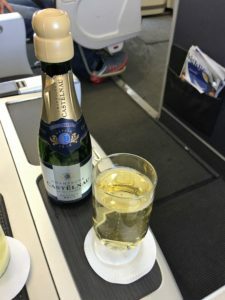 This will mean if you have a connecting flight on the same ticket to or from a longhaul Club World or First class you will get an automatic upgrade to Club Europe. 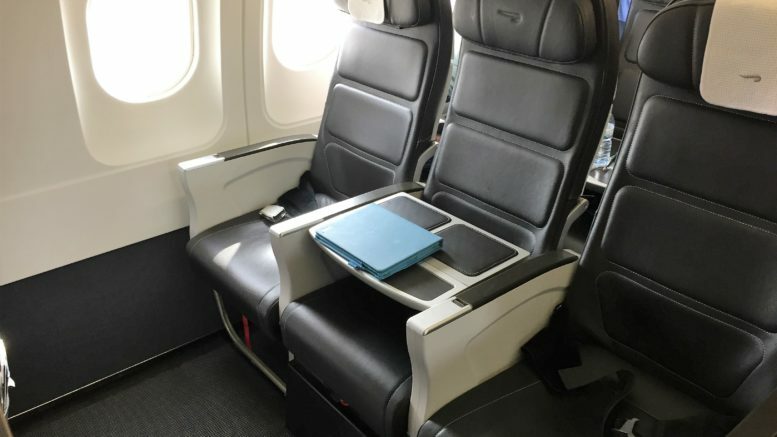 Also if you have booked the top 5 economy Domestic fares (C,D,R,I and U) or a Business UK ticket (Y and J class) then you will automatically be upgraded to Club Europe. In the meantime if you have any domestic flights you may notice some changes to them as BA gear up their IT for the change. Some customers have seen their booking cancelled and rebooked. Flights are now available to book on both Avios and cash. The prices seem pretty reasonable at £200-230 return on the dates I looked at. This could be a good option for a very quick tier point run. There is no requirement to stay a Saturday night or even 1 night to get the cheapest fare. It is assumed that they will earn 40 tier points per leg as per the other Club Europe flights. Avios redemptions are pricing at 9000 Avios per leg on Reward Flight Saver. If you have an existing Domestic booking from 1 April and have seats reserved, it is worth double checking whether you have been moved. This is particularly true if you were at the front of the aircraft. If you are lucky enough to be upgraded as above, then you will want to check your new seat assignment. 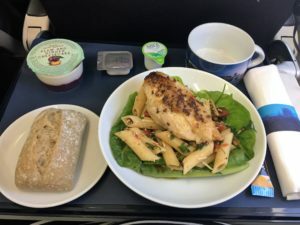 5 Comments on "BA Club Europe improvements plus Domestic Club Europe on sale for cash and Avios"
Where is this information from? Was there a BA press release? I can’t find any mention of Club Europe service improvements anywhere else on the web. Hi Thomas. There is a press release that is due out shortly which a reader from BA sent to me in advance. It is mentioned on Flyertalk as well on the BA forum. According to the BA staffer on FT it is due at the end of March. I’m guessing it will coincide with the start of the summer schedules. Great – I look forward to reading your review soon. My next Club Europe flight isn’t until June so I’m wondering what’s going to be different. Well, judging by my last couple of flights in Club Europe, there is a lot of room for improvement! Assuming the change happens on time, I should have a review by early April. Just to let you know that the new Club Europe review is live on the site today.